Not murders or rapists or anything violent like that. I’m not crazy. I love thieves and con artists. Not the boring businessmen who steal from their own companies or cheat on their taxes or whatever it is they do on Wall Street– but real criminals who rob banks, take from the wealthy, and make money through deception and good looks. As a student who has completed three psych classes psychology expert, I have diagnosed myself with something I completely made up developed over years of research called The Criminal Complex. Throughout my life I have grown fond of and cultivated an attraction to thieves and con men. I traced the roots of my abnormal mental state all the way back to infancy. 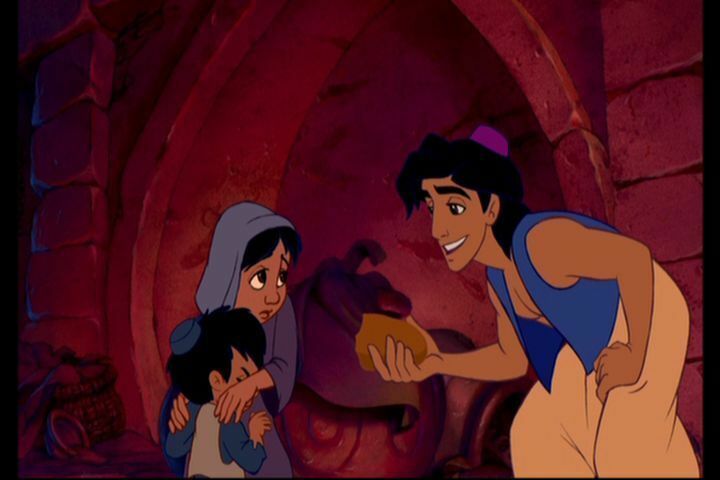 With a fair amount of confidence, I can say that my Criminal Complex originates from Disney’s Aladdin. I have only lived in a world without Aladdin for the first six months of my life; so as long as I can remember there has always been Aladdin. I don’t know a world without the street rat with a heart of gold, the thief with a kind soul, the diamond in the rough. I probably watched Aladdin about eight billion times as a child; it shaped my life in many ways and I still have a very real cartoon crush on Aladdin to this very day. Jasmine trusted Aladdin and they ended up riding off into the night on a magic carpet and lived happily ever after. I make almost all of my decisions and spend most of time trying to embody Princess Jasmine. Therefore, I need to fall in love with and marry a common criminal (with a heart of gold). LOOK WHAT YOU DID TO ME, DISNEY. My problems continued in 1997 with the release of Anastasia and the introduction of the lovable and handsome con artist, Dimitri. Sure, Dimitri starts off on a bad foot…he lies to Anastasia and tries to use her to get the reward money from a sweet old woman looking for her long-lost granddaughter…but he’s a con artist, it’s what he does! But he becomes a better person after falling for the adorable “Anya” and doesn’t even take the reward money in the end. TRUE LOVE TURNS CRIMINALS INTO HONEST AND MORALLY JUST PEOPLE. That’s what my childhood taught me. It wasn’t until 2010 when I finally realized there was a pattern in my animated loves. 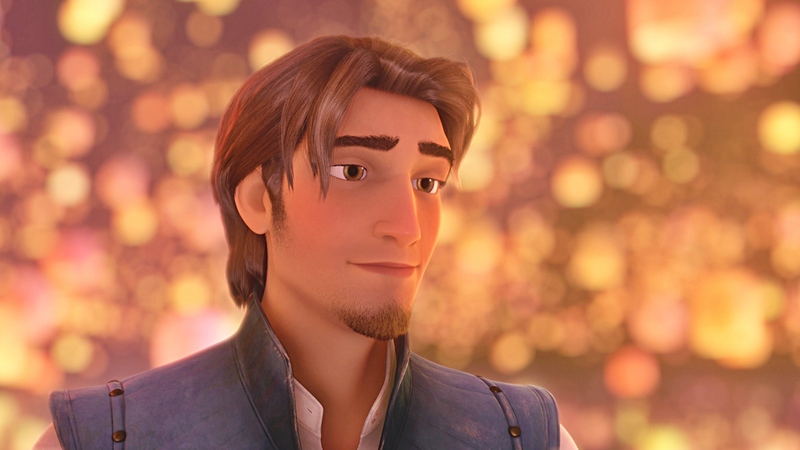 Eugene Fitzherbert, better known as Flynn Rider, of Tangled was the third victim in my serial obsessing. The man with the smolder stole my heart like he stole the crown from the royal family. 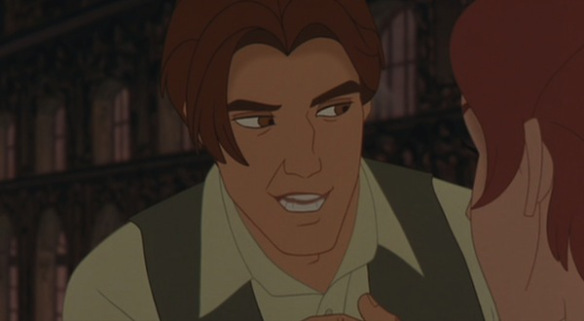 In addition to his thievery skills, Eugene has dashing good looks and all the best lines in the movie. 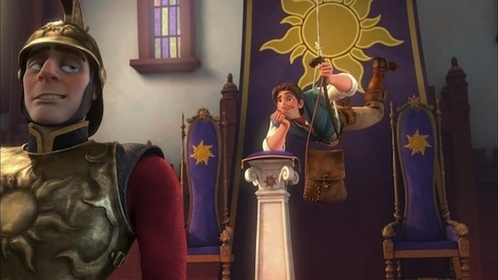 *cue swooning* So what if he stole a crown from the kingdom, double crossed his own partners in crime, and tried to weasel out of his deal with Rapunzel…HE SACRIFICED HIS LIFE FOR HIS DREAM AND ONE TRUE LOVE. Once again movies have taught me that true love will change a troubled soul into a pure one. There are a multitude of live-action movies that also influenced my love of thieves and con artists (Ocean’s 11, The Town, Catch Me If You Can) but the foundation was set by the animated movies of my childhood. If there’s one thing these movies taught me it’s that really attractive criminal heartthrobs will change their ways if they fall in love with you. This entry was posted in Funny Stuff, Uncategorized and tagged Aladdin, Anastasia, con artist, con man, criminal, Dimitri, Disney, entertainment, Flynn Rider, funny, humor, humour, Jasmine, Princess, Rapunzel, Tangled, thief. Bookmark the permalink. Brilliant and funny and well observed.